Lye Christadelphians in the UK put up an mp3 recording of their Sunday evening talk last week entitled “Prophecy proves that the bible is true” and I couldn’t resist listening to see if I had missed something. Let them give me their best shot! It was predictably disappointing – a recording of a lecture that stretches to nearly 54 minutes! I remember only too well those speakers; he seemed incapable of speaking for the requested 30-40 minutes and droned on for far too long…the poor youngsters who had to sit through that! The speaker started off by saying that the bible claimed to be the inspired word of God from the first word of Genesis to the last word of Revelation and we don’t have to take that on faith alone because fulfilled prophecies show that the bible is true. He seems to have forgotten that the bible is a collection of ancient scrolls, taken from a larger number of candidates that might have been included, and is not a single coherent work. It is a nonsense to say that it claims to be the inspired word of God; it didn’t exist as a whole until hundreds of years after the individual scrolls that make it up were penned. Even if you could find in one book of the bible a prophecy that had indisputably been fulfilled and was not open to any alternative explanation, you might have proved that one book of the bible was inspired. Or that the writer hit a lucky guess. But you would not have proved that the whole bible is true – particularly as we know from scholarship that a great deal of it was not written by the authors it claims, and it contains historical errors and contradictions and things that are obviously false. The speaker goes on to discuss at length Daniel Ch.2 which, as all readers of this blog will remember, is the chapter that has the story of Nebuchadnezzar’s dream of the image that foretold four great kingdoms, all of which would be crushed by the rock that would form a kingdom to fill the whole earth. 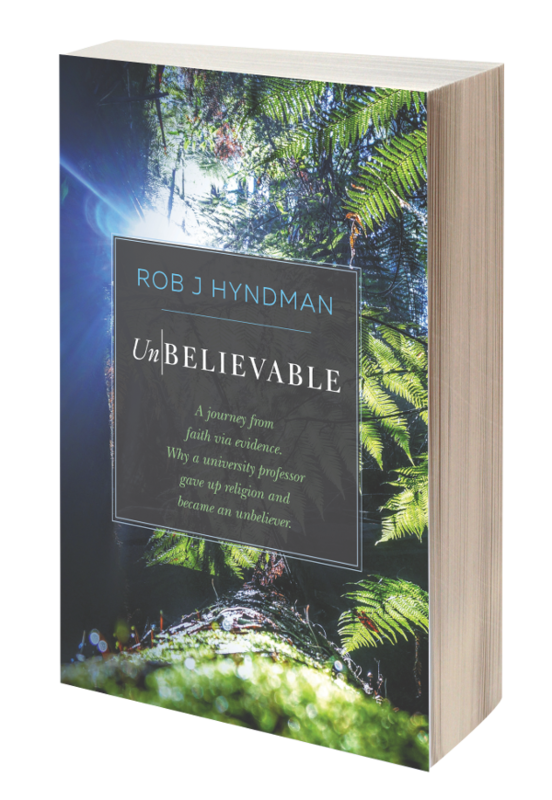 He recounts the usual Christadelphian interpretation – which I am sure will be familiar to readers of this blog. There is a very obvious problem with this story. The vision apparently covers four long forgotten empires, which ends with the “broken kingdom” of iron and clay at which point God’s kingdom surpasses them all. The Christadelphian interpretation of the kingdoms: Babylon – MedoPersia – Greece – Rome, covers a period for about 900 years from around 600 BCE, and since then there have been other empires, notably the Byzantine empire, the Umayyad Caliphate, and the Ottoman empire all of which covered similar territory to the empires of the image, but which Daniel says nothing about, and still 1500 years later that stone which was to come to surpass all the other kingdoms has not appeared. Perhaps this gives us a clue as to the real origin and meaning of the “prophecies” in Daniel? The crux of the issue is when was Daniel written and what was it written for? Conservative Christians will tell you that Daniel was eponymously penned by the character that plays a central role in the book around 6-500 years BCE. But most modern bible scholars are of the opinion that he book of Daniel was written much later – in the 160s BCE at the time of Antiohchus IV Epiphanes. They say this for many reasons – the language and theology of the book, the lack of external references to the book, the fact that it is not included in the Jewish canon of “The Prophets”, but most of all because of its remarkably accurate “prophecies” in chapter 11, which seem to describe in detail the rise of Alexander the Great and the subsequent fragmentation of his empire, including the actions of Antiochus IV Epiphanes and his desecration of the Temple in Jerusalem. The simple fact is that the book of Daniel is not prophecy but history! It is what is called pseudepigrapha – a book that was written for a particular purpose and falsely attributed to a figure from the past to give it credence. It was written in the 160s BCE as historical fiction to encourage the Jewish people, when they were very much being discouraged by the political events around them. Looked at in this light it becomes obvious that the kingdoms supposedly represented by the image of chapter 2 are not what Christadelphians claim. Far more likely they are the kingdoms from Babylonia to Greece – with Alexander the Great being represented as the iron legs. History records that having conquered pretty much the known world Alexander the Great died leaving no successor and his kingdom was divided amongst his four generals – iron mixed with clay - and it was in the days of those kings that the God of heaven was supposed to set up a Kingdom that would never be destroyed! The Jews of the 160s BCE were being encouraged to expect God to rescue them from their political oppression by establishing his kingdom in the very near future. That never happened! If you do some searching on the subject you will find many Christian apologists who claim that the only reason that scholars propose a date in the 160s for the writing of Daniel is that they cannot accept that the “prophecies” could be so accurate if they were written 400 years earlier. But the apologists have to answer one simple question – how was it, if the book of Daniel was written in the 6th century BCE, that it is so accurate in the “prophecies” up to the mid-160s BCE but not beyond, and has nothing to say about the next 2000+ years, except for things that have never happened? The simple answer is that the supposed “prophecies” were in fact history at the time of writing and anything that was actually prophesied has never happened. A complete failure! So rather than proving the bible true it looks like prophecy has failed. It’s long past time to stop pretending that the bible has anything useful to say about the modern world and face up to the fact that bible prophecy is about as useful as Nostradamus and Old Mother Shipton!